Preheat oven to 350 degrees F. Combine all ingredients in a large bowl reserving 1 cup of cheddar cheese for topping. 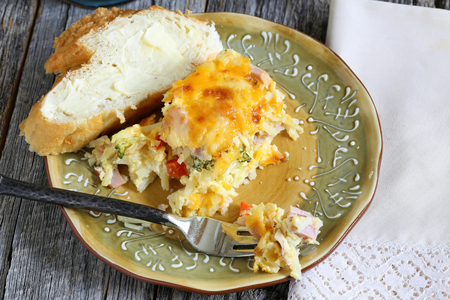 Place in a greased 9×13 casserole dish and top with reserved cheddar cheese. Bake for 35-45 minutes or until hot and bubbly.